One Punch Man season 2 is going to release in 2019. The fans might be waiting to hear about the renewal for so long. The working for the new season began in 2017. 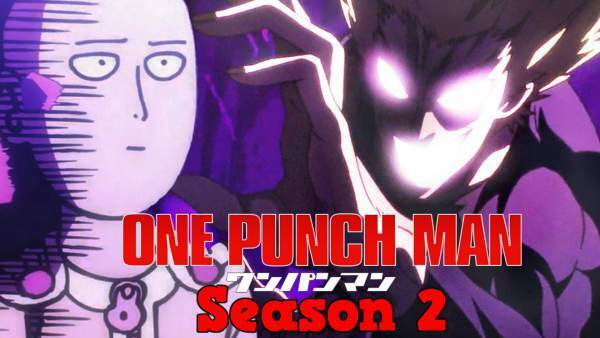 Probably, by the end of this year, the fans would get to know the exact season 2 release date of One Punch Man (OPM). It is now official that it will premiere in April next year. Catching up with the official page of One Punch Man on Twitter, it gave a special appearance in the annual event held in December 2017. There was utter silence over the thought what the franchise will be accompanying to the convention. However, the exact date of the premiere is not known yet. But, it will be revealed soon. September 2018 Update: At last, it is coming back after a gap of three years. The first installment aired in October 2015. It became one of the most beloved anime in the world, joining the ranks of popularity among series like Dragon Ball Z, Naruto, One Piece, and more. After announcing the second season, it took the makers two years to come with an air date. 2017 Update: Some of the audience might not be known to the Jump Festa. In this regard, you should be aware of the fact that the convention shares a prolonged history with the shonen series. Shueisha (publisher of all the “Jump” magazines) founded the comic convention late back in 1999. The Japanese deem the event as the San Diego Comic-Con of shonen manga series. Moreover, the franchises like Naruto and One Piece have come up with major announcements at the event in the past years. Talking about OPM, it can be said that the series is known to let know audience about the new updates regarding its anime. The franchise could dash the hopes of the fans and just figure out some news regarding the merchandise for the anime. In addition, latest updates reveal that OPM has put a confirmation stamp on its upcoming installment a couple of years back. Though the anime had entered the stage of work-in-progress. Some changes were headed last month which reveals that the anime series production was given to J.C. Staff for the second season by Madhouse. Moreover, there are chances that the series will be supervised by a new director as Shingo Natsume seems to be replacing it with Chikara Sakurai. How can we miss the casting team! It is officially confirmed that OnePunch Man original cast will come to voice the characters like Saitama. Probably, within the coming time, more updates will be revealed including the exact one punch man season 2 release date. Are you excited for the renewed season? Share your thoughts in the comment box below. For more updates and news hub, stay tuned to TheReporterTimes!